We’re Giving Back to Our Heroes! Our community is supported by thousands of self-sacrificing heroes, and we feel it’s time for us to give something back to them. We’re proud to announce our Comfort for Heroes program, making it easier for active military, veterans, law enforcement, EMT & paramedics, firefighters, and educators to get the HVAC systems they need. If you’re a member of any of the above groups, contact us today and get 10% off your total invoice for Mitsubishi Electric HVAC equipment and installation up to $1,500. 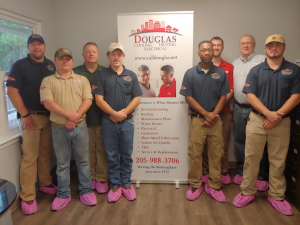 Douglas Cooling & Heating is Central Alabama’s only Diamond Elite Contractor. Posted in Air Conditioning | Comments Off on We’re Giving Back to Our Heroes!